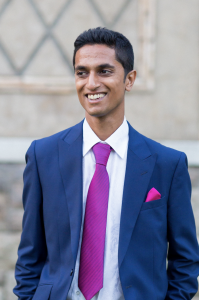 Alumni Stories, Cass Business School News. Anthony Noun (Executive MBA, 2017) came to Cass Business School to rubber-stamp his private sector nous, after years of PR experience in the public and third sectors. Along with his business partner he is now disrupting the PR industry with Brægen, a different way for brands to communicate and engage with their target audiences. We met up in the Launch Lab for a chat. I decided to do an Executive MBA (EMBA) because I’ve always dreamt of setting up my own agency and felt that the EMBA would give me confidence as well as the know-how. I also knew it would be great for networking, to meet potential partners, and to collaborate. My background is predominantly in communications and marketing in the public sector and the third sector, and the EMBA is perfect for developing your business nous. Cass is really good at accepting people from a diverse range of professional backgrounds. 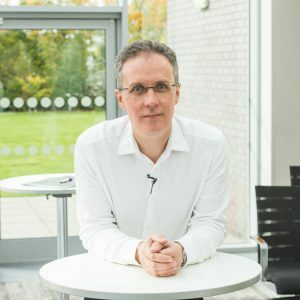 My first interview for the EMBA was with Professor Stephen Thomas, and he stressed to me the value of the third sector and how Cass is always looking to recruit outside the typical mould of an MBA student. Doing the MBA helped me focus on the important things, and the extra-curricular activities were amazing too. There are lots of events to encourage entrepreneurs, like the social enterprise festival, which is widening the entrepreneurship net outside the private sector. In the Organisational Behaviour module we started looking at change management in a different way, using dialogic organisation development. Traditionally a company has a series of change management and restructure programmes to increase efficiency. However, these top-down change management approaches only have a 30% success rate, are not effective and often lead to demotivated and unhappy staff. A dialogic approach puts people at the centre of organisational development. Rather than create a plan and then try to engage staff, you start with a series of dialogues internally and co-construct a shared purpose through which the company can embrace emergence and move forward together collectively. I did my thesis on applying dialogic methods to communication and engagement, to seek out if the approach can be used with external (the public, ‘consumers’) stakeholders as well as internal ones. This really laid the foundations to help build the Brægen concept and I would never have come across ‘dialogic’ without doing the EMBA. It was amazing to realise that I could make these connections and take best practice from other industries to disrupt ours. I went straight from my EMBA to the City Launch Lab – it’s been a huge plus! The Launch Lab is an exciting venture for the University. Not only can you go to events and conferences for start-ups when you’re studying here, you know there is also a University-funded start-up incubator waiting for you if you’ve got the right idea. 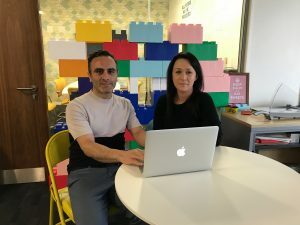 We pitched and won our place and it’s amazing because we have free desk space for 12 months, as well as mentoring plus that day-to-day support to really help us go from a start-up to the next phase. I met my co-creator and collaborator Charlotte Broadribb professionally, and we’re passionate about the future of the PR, Marketing and Advertising industry. We don’t see what’s happening currently as creative, viable or appealing to ‘consumers’, and the results are that there is more fake engagement (at best) than real. So someone needs to come in and disrupt the status quo – us! Brægen’s philosophy and vision focuses on how marketing and communications need to adapt to meet current challenges of today’s social, political and media landscape. Today anyone can create or be their own brand. Before smartphones, traditional brands were just competing with each other for coverage. Now people, powered by technology, are able to compete with established brands for media space, engagement and visibility. For example a vlogger’s 15 minute video can reach millions of people worldwide, which is the same reach as a multi-million advertising campaign. And this vlogger is getting better engagement too! Organisations are unsuccessfully playing catch-up, as tried and tested ‘broadcast’ methods of content and message push are no longer appealing because they don’t lead to real two-way conversations, which as we all know, is more interesting than being talked ‘at’. People now want and expect more from brands – reading a series of announcements about what a brand is doing is no longer of interest to people. People want the opportunity to co-create, communicate and make decisions with the brands they use – just look at Monzo. The name Brægen was Charlotte’s idea. It’s the original spelling of the word ‘brain’. The brain is the one thing all 7 billion of us humans have in common and what sets us apart from the rest of the animal kingdom is the way we can communicate with each other. The brain is where all the magic happens! We do PR and marketing with the key focus of creating real engagement touchpoints with the target audience. What people want is changing so we’re looking at meeting that need, and we do this through a number of techniques. We’ve always said that Brægen is a concept that will constantly evolve with the times. We are not rigidly wedded to the idea we have today as we recognise the need to respond to how people consume and interact with information and change, because it’s the failure to innovate that has created the problems the industry has today. Yes, one of our unique selling points is that we are all coaches, or training to be. We also see it as a good cross-sell package. I’m training to be an executive coach and Charlotte is a health and wellbeing coach. Coaching is more about listening than talking to clients, which is a great basis for how we can dialogically work with them, their internal teams and their external audiences. 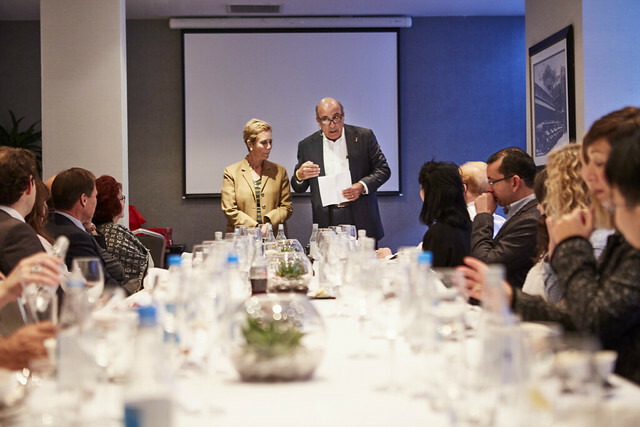 Traditional presentation training, particularly with CEOs and senior executives, always focuses on the outer communication issues like packaging the message right, but that doesn’t touch on your internal beliefs and previous experiences as a speaker or presenter which may be limiting you. That’s something you can only work on from a coaching perspective. Coaching can help you find your positive inner voice and to create an action plan for working on confidence as a speaker or a presenter. What’s the future for Brægen? We are committed to being an agency that will remain different and ahead of the game. We want to keep away from the traditional agency model and ensure that we preserve our start-up ideals. We’re not doing this for glory or money, we love it and we think that we offer something different to the PR and marketing industry. We will keep disrupting and using our skills to create positive communications and sometimes social change. The concept of the Dialogic Communications Consultancy or Agency is new and different, so the real challenge is communicating an innovative and complex concept to people in a succinct way. We need to ensure people understand what we do and how working with us in a dialogic way would benefit them, their brand, their business, their team and their audiences. I’d say don’t fret – be patient and never doubt yourself. If you have an idea and you think about it all the time, go for it. If you start developing a business, keep going and see it through to fruition. You don’t always need to rely on an investor to buy into it for you to be a success. Find out more about Brægen on their website and follow them on Twitter. Our Cass alumni stories are a great way to find out where your Cass degree can take you. We’ve got alumni doing amazing, innovative things across the world – and this International Women’s Day we’re celebrating the female alumni we’ve featured recently. Claire Hall (left) studied MSc Charity Marketing and Fundraising (2014) but has lately turned her talents to the digital sector at WordPress Agency Moove Agency and found plenty of skills crossover. Read more here. Emilie Bellet (centre) came to Cass as part of her degree at ESCP in Paris, and then moved to London when she graduated. She’s always been ‘good’ at earning money, but saving….less so. Her new company, Vestpod, is all about informing women about how to be smart with their finances. Continue reading. Nancy O’Hare (right) (Executive MBA, 2014) has spent 20 years in the oil and gas industry travelling whenever she could. Now she’s ditched the day job and has published a new kind of travel book “Dust In My Pack” part how-to, and part narrative based on her travels. Find out more. 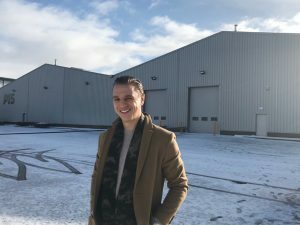 Sean Anderson (BSc Business Studies, 2014) started working with his clothing company, Good For Nothing, while still at Cass – and launched his next collection just days after his final exam. With suppliers including JD Sports, a showcase on MTV and celebrity endorsements, it turns out that Sean is definitely good at this! He popped back to Cass for a chat. Well it was split in to two parts, because I initially studied Investment and Financial Risk Management because I wanted to work in the City as a trader. However, I failed mathematical finance twice – it was like another language to me! So then I had some time out and I didn’t know what I wanted to do. I got a job trading oil futures in London and at the same time started working on Good For Nothing. I’d always wanted to learn more about business and to create something from Good For Nothing. I was chatting with my mum about it and she said I should write a letter to the Dean of Cass asking to return. I was reluctant but she told me that the worst they could say was no. So I wrote a big long letter outlining what I’d been up to and my wish to come back and study more and I was accepted on to the second year of Business Studies. Some of the modules have been really useful and applicable. I was really lucky at University to be in a close knit group of friends, and even though I live far away in Manchester and I don’t see them as much they are still friends for life. Actually, two of them are in the same industry, so when I go to trade shows I know they will always be there! I was also part of the rugby team – which was amazing for the social life. Playing on a Wednesday really breaks the week up too. We won the league in my last year, which was a nice way to go out. I also worked at the SU bar, and of course I was working on my business too. In my third year I stopped working at the SU and just focussed on the business and my dissertation, which was pretty tiring! At weekends I would go up to Manchester to work on my business and I spent a lot of time in the Northern Quarter, Manchester’s fashion district, knocking on the doors of fashion agents asking if I could show them my products. I wasn’t very successful with that though! My last exam was on Friday 6th June 2014 and on the following Monday we launched the new summer collection. Rather than party and celebrate finishing my degree I had to get on the train to Manchester to get it all together. Throughout my exams I was working on the collection as well as a collaboration deal between a TV personality and the brand, and with the launch on that Monday I had to do a lot of work alongside my exams. It was incredibly successful, and we did a year’s turnover in the 30 days from the launch day. I didn’t have time to take a gap year, or even go on holiday, it was straight in to this full time job. How did Good For Nothing get started? Both me and my business partner had always been in to fashion and wanted to start our own business. Actually we were both designing and printing t-shirts separately, selling them through Facebook and then we decided to go ahead together, and Good For Nothing started to build momentum. We got endorsed by TV stars quite early on. One of my friends went to school with some of the people on a reality TV show and through them I spoke to the manager of one of them. We met up and gave them some free samples, and a few of the guys on the show started to wear our clothes. Then I was in Glasgow airport and I saw another of the guys from the show who I knew would have a good pull, so I went over and said that some of your friends wear our brand, can I send some pieces for you? So we kept in touch and then I proposed a collaboration deal and from there it really snowballed. That’s how we got to some of our stores, and when people saw the brand on TV that created a huge demand, like we saw our butterfly logo t-shirt on MTV and it went crazy! Through that we built a really big social following on Instagram and really helped the brand to flourish. Now we work with stores like ASOS, FootAsylum and JD sports, they have been really helpful for exposure and great partners. One thing that really helped was the name of the brand. No matter where I am if I talk of the brand name e.g. checking in to a hotel or offices, if they ask the brand name, it always makes people laugh. The name is a big part of it, and the message behind the brand is that belief to pursue your dreams and goals despite what people say; you wear the criticism and do what you want. Through the years as the customer base has grown we have developed and expanded into new categories and now we do men’s, women’s, junior, denim, footwear and jackets, so we can reach more customers. We’re even launching a backpack range. Future plans are to continue to grow with key clients and we hope to be able to bring on a couple of new key partners later in the year or early next year. We will continue to build our online and social following and continue to innovate products. We are always creating new aesthetics while keeping the core DNA of the brand. The biggest challenge has been growth management! From when we did the launch after my final exam the business has taken off and continued since then. We doubled our size in the last financial year and we are on track to double again this year. So we’re always looking at warehouse staff, space, resources, and can we keep up with the demand? One of the difficulties we faced was when we first received big orders and we had to get finance for it. We would go to a finance house, just out of University, and it was a hard task to convince people to support us. I had countless meetings with trade finance companies but finally managed to find one who was willing to work with us. The other thing alongside this is the balance between work and personal life, those are the two challenges for me. I think the team you build is really important. In your own business there is only so much you can do yourself. It’s important to have faith in the people who have faith in your business. Some of our staff who are vital to the business, they had no relevant experience when we hired them for the roles they are doing now, but they believed in the brand, learned and developed to be absolutely key to the business. The team is a huge thing. The other advice I’d give to anyone, whether in business, your career or personal life, is don’t just have a goal. Once you have one, split it into activities that lead to that goal and pursue each activity until you get there. Another thing I’d say to anyone, even to myself in past years, and I have to keep reminding myself now, is to maintain that balance between your career, business and personal life: your friends, your family and your loved ones. It’ so easy to get caught up and forget to focus on the simpler things that bring you the most happiness. Don’t be afraid to ask people for advice. I would just ask people I hardly knew for advice, e.g. I didn’t understand wholesale mark-ups and so my sister introduced me to someone who could help, and then he ended up introducing us to the trade show where we got one of our key stores, and they are a big customer now. Use your resources and just search for them if you don’t have any. People, strangers or friends of friends come to me and just ask for advice. I like to give advice and give them things to think about. I get a big kick out of helping people with their businesses and it’s definitely something I want to do more of in the future. And since you’re located in Manchester, we’d love to know you favourite place there: My apartment! Find out more and buy from Good For Nothing on their website and follow them on Instagram, Facebook and Twitter. It was a long time ago! When I was at Cass it was the City University Business School and has just moved to Frobisher Crescent. We were the first cohort to do a BSc in Business Studies and I think that in some ways, because it was so new, we received extra focus. We had some great lecturers and small class sizes; there were 40 on the course and it was more like a family atmosphere, so the students felt like there was a unique bond which continues to this day when we meet annually. I was sponsored through University by Arcadia so when I graduated I went to work for them as a fashion buyer for a couple of years. From there I was headhunted to Boots the Chemist to head up some of their buying and marketing areas which included launching Boots’ website back in 1995. I also helped to launch their business internationally, becoming the Marketing Director. Then I subsequently joined British Land as a Managing Director of of a software joint venture which I scaled and successfully sold. After that I decided to follow my passion which is realising the potential of both businesses and individuals. That led to me launching High Growth. At High Growth we have been training and coaching companies for the last 10 years in the UK and US. We help businesses scale up easily and efficiently once they reach a turnover of somewhere between 500K and £1M, up to £50M, giving them the skills and strategies which ensure success. We have had around two and a half thousand companies go through the programmes online and offline. But that’s not all I do, I’m also a non-executive director of a couple of companies and have also launched businessmindfulness.co.uk. I’m fascinated with this area! Something important is happening in our society today: people are being mindful. In more ways and in more places. Being mindful is an idea, a way of being, whose time has come. It’s an approach that recognises and cultivates the best of who we are as human beings. Perhaps, not surprisingly, some of the most successful organisations in the world have embraced this concept. Business Mindfulness shares the secrets of these ‘enlightened’ businesses recognising that alignment and synchronicity is required between an individual, team, organisation and environment. Once alignment is established between these areas a business can truly be in ‘flow’ and start to realise it’s potential. We’ve heard you attend Awesomnessfest? Yes, and there it’s part of the culture to raise your game. You mix with people at or higher than your level and it stretches and inspires you. I speak regularly at this event, which is host to around 250 people from around the world. The attendees are a curated invite list from all professions and walks of life who get together for four days twice a year to learn from each other in inspirational locations. I’d have to say it’s helping people to realise their potential and commit to a growth journey. Once they have committed to that journey it is then making sure they enjoy it, getting rid of habits that do not serve them as they develop new., moving them to a totally new level. This actually affects all areas of life not just business, it helps them also with friends, family, health, etc: the whole lot! I have three pieces of advice! 1) Work on yourself harder than you work on your business. If you don’t grow faster than your business it will ultimately die 2) Make sure you enjoy the journey and life around you – be present to it at all times 3) Ask more what could you stop doing than what could you start doing. For example, if you’re looking to take on more things you need to give something up to make time for it. For more on this visit my site Goalsetting.training. Find out more on Highgrowth.com and businessmindfulness.co.uk. Follow High Growth on Twitter, Facebook and Linkedin. Bringing you a roundup of all the top events, stories, and social media posts in 2017. 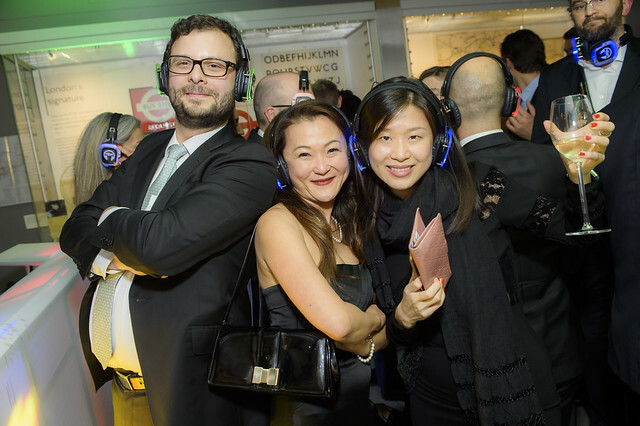 We’ve been celebrating Cass’s 50th Anniversary, hosted and supported events in New York, Athens, Dubai, San Francisco, Shanghai, Doha, Luxembourg, Hong Kong, Jakarta, Kuala Lumpur, Beijing, and more. It’s been amazing to reconnect with so many of you and we hope you have enjoyed meeting each other too. We’re already planning for 2018 so we hope to see many more of you soon! PLUS, if the festive season for you means Premier League Football, join our Fantasy League and compete against other alumni! The joining code is 1318396-573914. Hosted at the London Transport Museum, over 300 alumni plus staff and guests joined special guest Sir Stelios to party late into the night. The silent disco proved a particular highlight. It’s been a great year for connecting with famous alumni, with Muhtar Kent, the Chairman and former CEO of The Coca-Cola Company coming back for a masterclass on diversity alongside his annaul prizegiving of the Defne and Muhtar Kent Prize in Entrepreneurship and the Coca-Cola Foundation scholars. Find the full video of this talk on Cass Community. We’ve also had alumni invite us to their place of work! We visited KPMG with some Cass academics to team up with the KPMG experts for this interactive discussion on cyber security. It’s been a lovely year for Cass couples! Thanks to those who sent us in their photos – we’d love to have more. Share with us via cass-alumni@city.ac.uk or message on our social platforms. Cass has been celebrating plenty of success in the rankings this year! Cass alumni are launching and investing in businesses with a social angle, and City is joining in too. Congratulations to all our alumni who have achieved their goals in 2017! From all of us at the Cass Alumni Relations Team we wish you a very Merry Christmas and every success in 2018. Claire Hall studied MSc Charity Marketing and Fundraising (2014) but has lately turned her talents to the digital sector at WordPress Agency Moove Agency and found plenty of skills crossover. We spoke about it all. I applied for the MSc in Charity Marketing and Fundraising whilst I was working overseas with an NGO in Nigeria. The then Executive Director of United Purpose (formerly Concern Universal) Ian Williams was a visiting fellow at Cass and he mentioned the CCE (Cass Centre for Charity Effectiveness) and the Masters programme. I looked into the course and Business School further and I knew that I’d found the right place to study. So I applied, got in and moved to London. I absolutely loved the programme – it was very intense! It took a while to get used to Fridays and Saturdays in the classroom but I loved the total immersion of the course. I look fondly on my two years. The lecturers were fantastic, and it was the perfect balance of academic and theory and guest lecturers from charities. The cohort came from different parts of charity sector and were at different points in their careers; I learnt as much from them as through my study and reading. During my time at Cass I was working at the NSPCC. I held a few different roles whilst I was there, starting as Major Donor Fundraiser, then a secondment working for the Director of Fundraising and finally a move into the HR team to develop the Fundraising training programme. It was really fantastic to get the practical experience of those three roles. I then had the opportunity a couple of years ago to join Moove Agency. After spending 10 years in the charity sector I felt it would add to my professional experience if I worked in another sector. I’m very interested in technology and the challenge of translating my skills and experience into the digital sector really appealed to me. Several of my modules with CCE were very applicable too, like resource management and strategy. It’s been great to use the learning, knowledge and insight from the course. At Moove Agency, we work with some of the UK’s biggest brands to provide fast and reliable WordPress support. Even though I have transferred to the digital sector, I’ve found that in terms of people management and specifically my sales role I had many skills already. I love my role because we work with a wide range of clients in different sectors including fantastic charities like Internet Matters, Nacro and also CharityJob, the leading provider of charity jobs. I’m also proud that we donate 5% of our profits to charity, and this year we supported Free A Girl who free and rehabilitate young girls who have been forced into prostitution. Although I’m not working in the charity sector I still feel that I continue to work with and support the sector. From a business perspective I’m really lucky to work with a talented team of Developers, Designers and Account Managers and I’m looking forward to growing the team to reflect the demand for our services. We have also just launched a new service for API integrations so we can get the websites to work harder and with more automation; we plan to launch more services in the future which is exciting. On a personal level I’ve been mentoring people for the past two years through the Aspire Foundation which is specifically for mentoring women, and I actually started as a mentee. I also mentor for the University of Reading and I’m looking for the right opportunity to join a charity board where I can add value with both my fundraising and digital sector experience. From a personal perspective, after 10 years of experience in the charity sector and doing the MSc, I had built up a huge knowledge base of the sector. When I transitioned into the digital industry, I had to start from scratch in some ways. So I immersed myself in our work and the industry and I got up to speed pretty quickly. Every sector has its own language and I found I could quickly utilise skills I already had, because sales and fundraising are really similar territory. From a business perspective, we have grown 20-30% year on year and clients love our work and we receive great feedback. The challenge is that as we scale and senior people take on more responsibility, we need to refine our internal processes to reflect the size of the business and continue to deliver the best service to our clients. Whatever stage you’re at in your career there’s always more to learn. You need to keep working on yourself, and the Masters for me was part of that. I really like the Churchill quote “to improve is to change, to perfect is to change often”. I love the sentiment to push forward, grow and improve; it’s good advice and it’s definitely what I’ve done in my career. Work on your personal growth and you will really add value to organisations that you are a part of. Favourite place in London: The Planetarium in Greenwich always puts things into perspective! Find out more about Moove Agency on their website. I came to Cass to study BSc Banking & International Finance in 2004 and I graduated in late 2007. What drew me to Cass was first of all that it was in London. I had family in London and I loved the buzz in the city, so I wanted to make sure I was there. Also, I had researched the credentials of Cass and it really drew me in. Looking back, I moved to London at 18 and all of a sudden I was almost 200 miles from home! I learned a lot academically and a lot of life skills too, which was really good; I couldn’t cook for myself or do the washing, so it was a steep learning curve. The people I met came from all over the world, and it was great to meet people from such different backgrounds and cultures. I’m still in touch with many, they are lifelong friends, and many more are still acquaintances that I am connected with on social media. I interviewed for jobs in a couple of major banks in London but I was not successful, so because of the extortionate rents in London I decided to move back to Yorkshire. I actually then went to study an MSc Information Management at The University of Sheffield, which was a one-year course, and whilst I was there I dabbled in e-commerce on marketplaces to supplement my student income. So I spent a year doing that and then I started work in the Marketing & Communications department in a local government body. I stayed there for seven years, it was very corporate, and I learned a lot about marketing and communications. From there I progressed to my current business. What is Vendimia Lighting Co.? We are a leading manufacturer of vintage inspired lighting. We sell directly to customers, trade and through retail partners and work with architects, restaurant designers and hospitality workers. We sell our products all over the globe, and we’ve been in several publications and appeared on TV. We work in particular with bars, restaurants and commercial lets in Yorkshire and have done work further afield like at the Other Palace Theatre London, where we provided the lights for the booking office and restaurant, and for a few other London restaurants too. People have probably seen our lights and never even realised! If you’re still not sure what we do, it’s the same lighting as those trendy bars in London which have old school lights in cages hanging from fabric. That’s what we produce. We are always focussed on the future and are thinking maybe of branching into homewares or tables and chairs that can accompany our style of lighting. It’s a family business? How did that happen? So as I said I dabbled in e-commerce as a student, and at this time my brother was doing a business degree at Sheffield too. He had been doing a range of business things, and had been in property development, when he came to me with this idea for vintage-inspired lighting. I could see the potential for growth and the competitors were doing well. He asked did I want to join? Yes! I jumped in because I was getting very sick of the 9-5 corporate world. So we jumped in three years ago, along with our other brother – it’s a real family affair! The name is Spanish for vintage. We have a family villa in Spain and spend a lot of time there, and just thought the name was cool – vintage is the vibe. Right now personally it’s getting enough sleep! My son was born 5 months ago so not to be a zombie at work is the main challenge. Otherwise I’d say it’s spending quality time with my family. It’s hard to switch off when it’s a family business and you’ve got your work email on your phone, it’s hard to get that work/life balance. 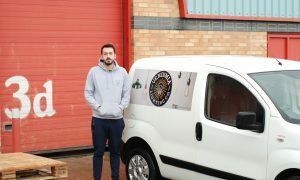 Coming from a corporate background now to work in to warehouse with an office in the corner, and spending much of my time picking and packing orders on the warehouse floor – it’s literally a different world! Getting my hands dirty I feel like I’ve done a hard day’s work! I’m also dealing with a much wider range of people, because the clientele includes tradesmen and is a lot less corporate and more relaxed. Do you have any advice to pass on? Don’t be scared to jump out of your comfort zone. Looking back to when I went to University I was 18 years old, which seems so young now – it was a massive thing but at the time it didn’t really seem like it. You just go for it! If you have a passion or an interest and want to do it, just do it! You can spend all your time thinking what if, especially about leaving your corporate role, but it really frees you up and creates that flexibility to form a better work/life balance. Find out more on their website and follow on Twitter, Facebook, Pinterest and Instagram. 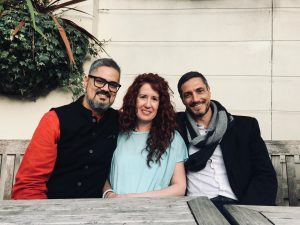 Marcello Giannuzzi (MG) and Kartikeya ‘Kat’ Shukla (KS) (Both Executive MBA, 2014) and Finn Callaghan (FC) are the team behind DubbaHood, a company that connects home cooks with people looking for freshly prepared meals in their neighbourhood a la ‘Airbnb for Food’. We chatted about entrepreneurship, belief and, of course, a lot about food. MG) I had a great experience. I remember the first day, when I came in for the introduction and I was wondering what the hell I was doing at Cass as London was such a different experience from my background – but step-by-step I discovered how much I would enjoy the people and being around that environment. It was a fantastic adventure and it really opened my eyes to new possibilities. KS) I could not agree more; landing in the middle of London was quite an experience! You have to figure out the rules. There are so many people from different parts of the world and you all have to try to get on, which was a challenge at the beginning. But then sometime along the journey you end up forming life-long relationships. KS) I think that’s a little bit of what the Business School is about. Marcello is from Italy and I am from India, and we met in London and decided to start a company together. Cass played a big role in that but we mustn’t forget Nancy (O’Hare) either, and she’s from Canada! So many people come together and met at a place called Cass, in London, where many of us had never been before. This international aspect is an important part of our company’s story. MG) It’s been about three years since we left. We finished at Cass in 2014 and didn’t go straight in to this. I’ve been working in Switzerland in the meantime. I clearly remember being on the New Venture Creation module, thinking that’s definitely not me! But the concepts were in the back of my mind, so when Kat and I talked about this idea a couple of years later it really turned a light on in my head. I realised that this is what I want to do and is right for me. How did DubbaHood come about? KS) My background is in business development and sales in the technology start up space. I have travelled 200-250K miles annually for the past 10-odd years, which has taken me around the world. Many people find that tiring but I enjoy it, meeting people and eating good food wherever my work took me. It just so happened that during my MBA I ended up living in Surrey in a very white neighbourhood, without many international food options or restaurants, so if I wanted to eat authentic food from somewhere like Brazil, then I would have to travel in to London. So I was thinking, how do I get authentic food? Where do I begin? I went to Vietnam for an elective in Hanoi and the food places there, wow! I went to a place recommended to me for chicken by a local friend. It was the most authentic, delicious BBQ chicken cooked along the side of a road and over the course of the week we were there for the elective, I took several groups of friends and they all loved it. Marcello was one of the guys I took there and we ended up bonding over this amazing barbecue chicken and potatoes done in the Vietnamese style. We talked about life and work and food and that’s when the idea really came together – we realised that what brings people from around the world together is a love of food and music. Well, we decided to focus on food! It was in Autumn 2013 that we had the idea, and it took from then until 2015/16 to say we need to do this; the world needs this. Once we started working on it, Nancy stepped in to help us and then we approached Finn to join the team to lead marketing and growth. Where does the name DubbaHood come from? MG) The name for me is about discovery. In DubbaHood, the first part of the name comes from the Dubbawallas in India. Dubba is the container in which fresh home cooked food is carried by these food couriers from your home, through this incredibly complex transport system, ending with the delivery of the meals to the right office where you work. That means they offer something that you don’t get elsewhere, the ability to eat home-cooked food, and to help communities get together, and this is where the “Hood” comes in, as we are connecting neighbourhoods through great food. We are trying to marry the concept of authentic and fresh home cooked food within neighbourhoods and brining people together using that hook. KS) We are a tech company which helps connect people who cook great food with people hungry for great food. We want people to connect with each other in their neighbourhoods. Nothing brings people together more than stories about food. It’s about the passion for fresh and authentic flavours; we’ve had enough of fast food and ready-to-eat. For this generation, it’s all about finding out what say, Marcello is cooking, what Kat is cooking, what Emma is cooking and how do I get a portion of that food for my own meal tonight. If you know the food is good (and our ratings and review system helps you with that), you will want to get your food from there, and that also helps the cook make a little money, as well as make new friends and connections along the way. MG) Behind any recipe there is a story to tell, and it’s that connection to other people that you just don’t find everywhere. Those memories that home-cooked food brings and the story that is behind each meal is something not on the market today. FC) It’s convenient too. Perhaps on a Monday night the last thing you want to do is figure out what you’re cooking. So what if you could meet with someone who has already done that for you so you don’t have to cook tonight? You find the person in your neighbourhood, take a short walk to pick up the food and it’s job done! And having someone in your neighbourhood who would cook you a fresh meal when you’re entirely focused on starting a company and don’t want distractions… that would be heaven to me right now! MG) Really for me it’s been to get out of my shell and stretch myself. I live in Switzerland and I work in the regulatory department for a big corporation. Even though you can definitely be an entrepreneur, building your own company requires a different and a more flexible and resilient approach to work. KS) The biggest thing for me was to get the idea – and now we are moving to the execution stage in the journey. Execution of the idea is key and it requires incredible focus, resilience, and belief in your team and yourself. We are constantly looking for people who love the problem we’re trying to solve and want to come in to start contributing, and making a real difference. HR and organisational behaviour problems, these are the biggest priorities for us right now – it is critical to have the right culture to enable growth. FC) When you’re a start-up, you could be the tech person one day, the customer service person the next and the marketing person the day after that, depending on your current list of priorities and deadlines. You have to make sure that you don’t let something important slip through the cracks or it could have a knock-on effect on other areas. It can be incredibly daunting to learn everything you can, about an area where you have little experience, in as short a time as possible. As Marcello said, it certainly forces you out of any comfort zone you may have. But it is truly exhilarating when whatever piece it is that you’re working on is successfully completed. MG) One word: Belief. You need to really believe in your idea, even if it’s a stretch and not within everybody’s grasp. Believe through the ups and downs, and it will become reality. KS) Communicate. Good communication is key, whether internally for good or bad news, or externally to investors and people you are hoping to get interested. FC) Patience. Working in a start-up is an entirely different experience to an already established company. In a company, there are processes in place and established roles and responsibilities. In a start-up, there is no structure, you’re figuring it out as you go along and success doesn’t happen instantly, so you need to be patient. Yes, you will have setbacks, you always do in a start-up, but you’ll have many more if you’re not patient with yourself, with others and with the journey. So you’re looking to hire new people? MG) One of the things at Cass that is very important is access to talent. The journey just started for us and we want to tap into the Cass network to say we are here with this great opportunity, get in touch with us if you want to find out more or of you think this is a business you’d like to be contribute to! KS) Hiring is critical and so is putting a good Advisory Board in place. We’re a growing company so it is critical to put the right team together including getting the right investors on board. Find out more about DubbaHood on the website. An advert at a bus stop convinced Akash Ghai to study NGO Management (2013). Now his company, Development3, helps growing companies build their social responsibility legacies. We skyped him in New York to find out more. I applied for the NGO Management program after I saw the course advertised at a bus stop. I studied part-time and that was a godsend, to be able to do it part-time as I was also trying to establish myself in a new professional role. You don’t usually get that level of flexibility at high calibre Universities like Cass; you might get online learning at Stamford or MIT, but you don’t get that full-on experience. It was interesting because at the time I was working at The Commonwealth, helping to improve the back end coordination of international development. The course taught me a lot about what happens on the front end and helped me to have a complete understanding of how the aid and change sectors work. When I decided to see what it was like and give it a go, I ended up on the wait list. I was doubting myself, thinking am I too young? Inexperienced? But once I got on the course, it gave me a strong foundation and enabled me to bring a more entrepreneurial approach to the projects I was working on. The results of my education were immediate – I could see them every day in my job. Cass is not just a name brand, it genuinely pushes talent and career progression. 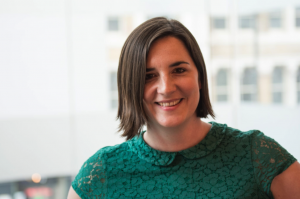 Cass helped me get clarity on the niche I wanted to fill in the sector and triggered me to set up Development3 to help mid-sized NGOs, who in my experience were the agents best equipped to truly move the needle, to become more competitive and functional. Cass taught me all about business structure, framework mapping, advocacy, and positioning. When sector novices ask me how to navigate the sector, I always refer them to Cass. My time there shaped my thinking and the way I am as a person. At Cass, you can identify what your end goal is a bit earlier than at other Universities, and the immediate application of your learning sets the program apart. I didn’t want a theoretical understanding, I wanted the hands-on knowledge so that I could be part of a working solution. I studied part time and kept working at The Commonwealth and spent hours talking to people from the NGO world to understand how I could apply what I learned at Cass. That led to setting up Development3, which initially focused on international development, sustainable development and social development. We worked with 20+ NGOs/non-profits in 5 different countries. We worked with our clients to build their back-end: marketing, finance, and HR, leaving them free to focus on helping their beneficiaries. In 2014, my then girlfriend, now wife, a native of New York was selected to do her PhD in the States. So, I packed up my London life and moved. I didn’t know anyone in the US and didn’t know how to navigate the US as an immigrant or professional. How did Development3 fare in the US? First, I went and got a corporate role and got to grips with the American way of working. I decided to keep Development3 working in the background until I could get a true sense of how it would work in the USA. I spent 2014-15 in this corporate environment and then I found my value proposition: how can I help companies pursue corporate social responsibility (CSR)? I also found a niche: mid-market companies. We pivoted our focus in 2015, where previously we focused solely on the NGOs, now we are striking a balance of working with both NGOs and mid-market companies. Currently, we work with companies in the US, Australia and the UK. Multinationals are sometimes rigid in their CSR thinking because of their scope while start-ups are just looking to survive which leaves mid-market companies. Companies that are growing, have a stronger risk and creativity appetites and are at times led by founders or CEOs who genuinely want to have a social impact. I brought in Annie Agle as a partner at the company. Her strong cause marketing and international development background means we can not only develop and implement CSR strategies but also help communicate their results as well. We are now on track to grow our business in the US. It’s been a lot of work! It’s been an interesting experience to shift the culture from London to New York. In London, I found the ways-of-working to be very systematic and process driven. When I got to New York I realised there are many more opportunities. That’s when my entrepreneurialism shone through. At the start, it was being in a new culture and working environment, but I’ve got that down pat now! I’m now finding living in New York as normal as being in London, which I think means I’ve truly become accustomed to it. Now, we are looking to California, which seems to be leading the charge in terms of bringing innovative ideation to the aid sector and CSR spaces. The challenge now is getting in front of more mid-market companies. We are building visibility to aid business development, and we all know this doesn’t happen overnight, but since the election, strangely enough, companies have a strong sense of urgency to become change actors. We have done our best to make ourselves available to any and all companies interested in whole-heartedly making this transition. I’m naturally introverted, which is something I am very comfortable talking about. Back when I graduated I found it difficult to assert myself, so I spent time building my knowledge. Then I moved to the USA and learned to not be afraid. The climate of idealism here really does rub off on you over time. Everyone here is trying and not afraid to fail. I think if I’d learned sooner to really open myself to discussions that would have allowed me to grow quicker. I find it odd that I had to go to the USA to find that out. In the UK, I feel the attitude is different, there are more set ways of interacting and approaching problems. In the US, everything goes back to collaboration and productive feedback. Finally it’s the quick-fire question round! Must-check every-day website: Shapr. Quick plug, Shapr is one of our clients. Our friend Ludovic and his team developed an app that enables people to connect with likeminded professionals through their phone. Find out more about Development3 on their website and join Shapr here.